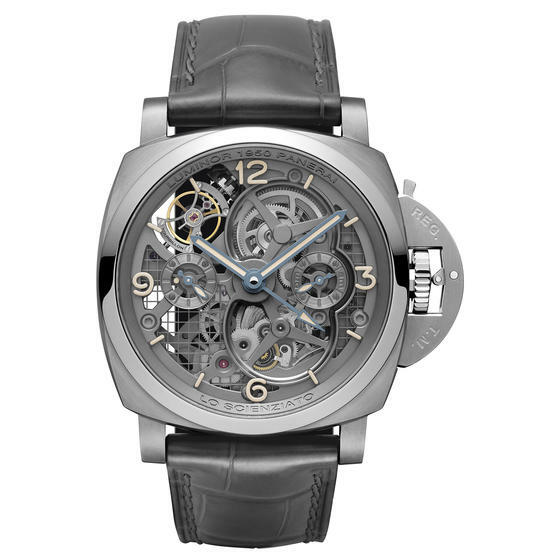 The end of January is an important time in the world of watches: the eyes of the horological community turn to SIHH, Salon International de la Haute Horlogerie, to see the latest releases and from the world’s most prestigious watch brands. Naturally Oliver himself never misses an opportunity to view these highly anticipated pieces with his own eyes, and to do a little skiing in the Swiss Alps while he’s at it. This year’s show did not disappoint, and was full of absolutely amazing timepieces that we can’t wait to share with you, or to have in our store in the coming year. 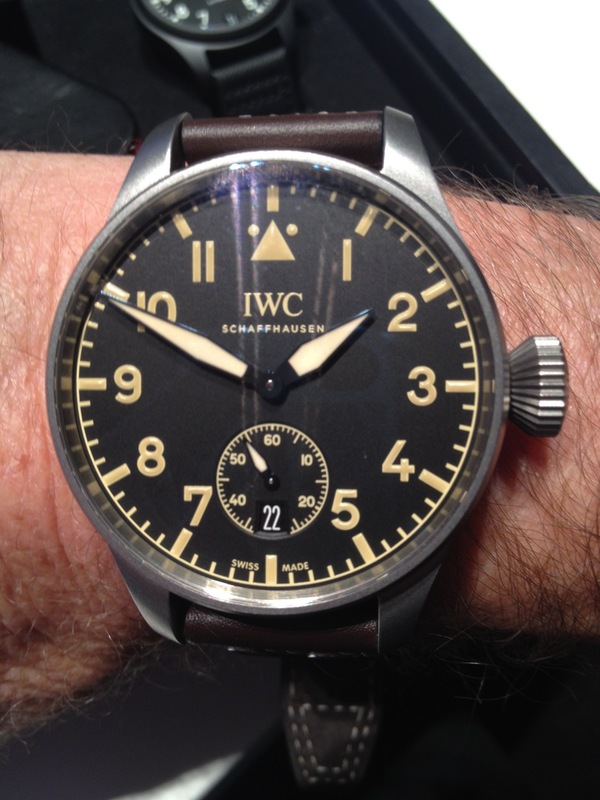 You may have noticed a dwindling number of pieces from IWC’s iconic Pilot’s collection in the cases of Oliver Smith recently, but don’t be alarmed, the Pilot’s watches aren’t leaving for good. 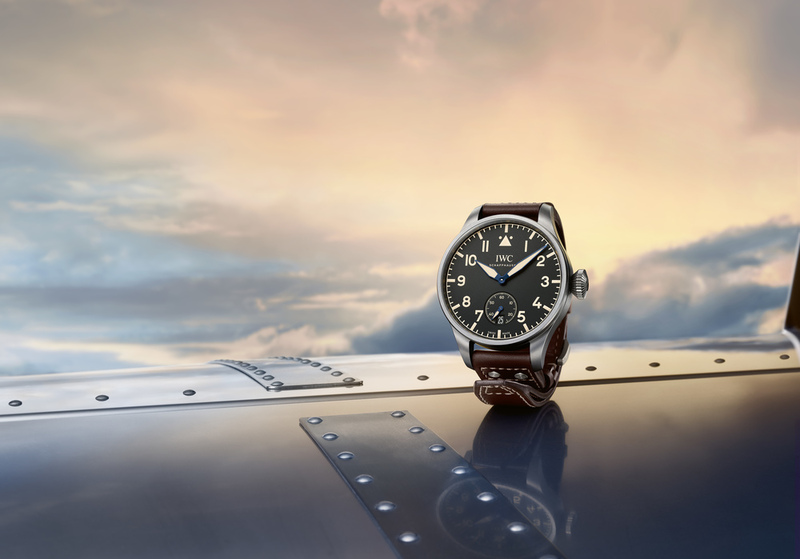 This year at SIHH, IWC relaunched the Pilot’s collection with stunning new additions, and we have been happy to make room for these fantastic watches. The new Pilot’s collection broadens its horizons to include smaller pieces with a 36mm case size at a lower price point, perfect for those with a smaller wrist or more classic style, and looks back to the foundation of the Pilot’s watch with their Heritage Big Pilot’s watch. 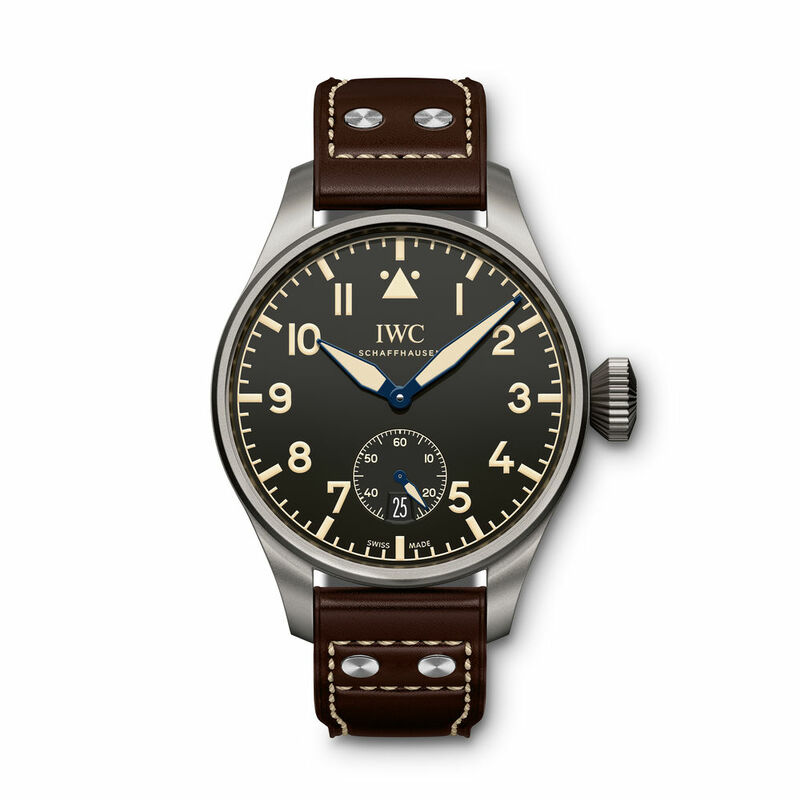 With the new Big Pilot’s pieces IWC really does mean big, with a 48 and 55mm case size that references the observer’s watches of the 1940's. These watches also maintain the clean, easy to read luminescent dials that were an important tool for pilots of the era. As part of their launch for the new Pilot’s watches IWC put together an amazing booth for SIHH with replica aircraft suspended from the ceiling and a 1940’s era theme. IWC also hosted a star-studded gala, where Chris Evans looked particularly nice in his watch. We’ll save the discussion of Captain America’s promotion of the brand and IWC’s WWII history for a different day. 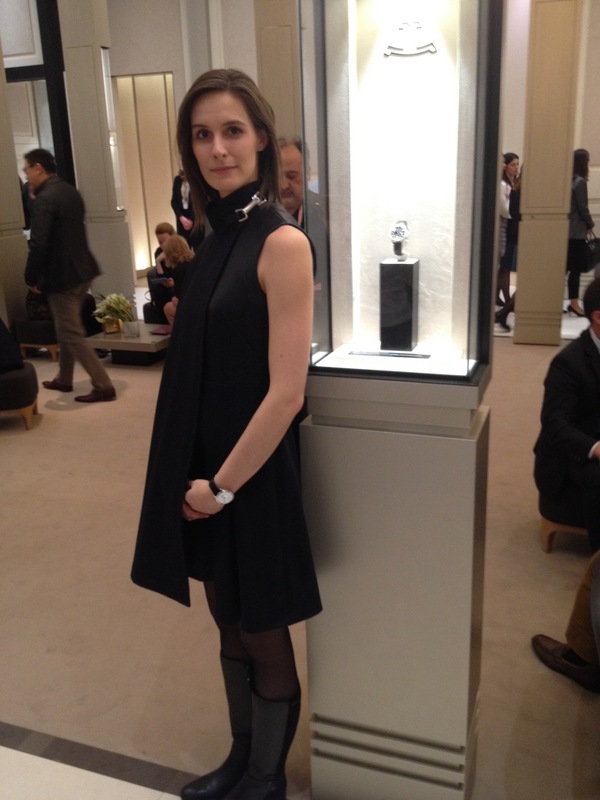 Catch a glimpse of IWC’s amazing booth and star studded gala in their video here. 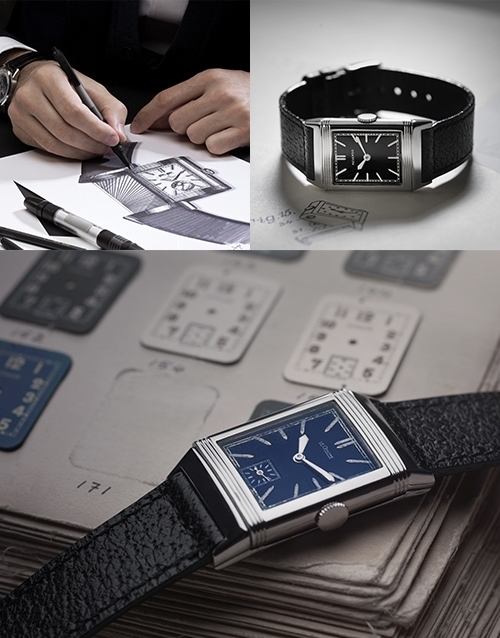 This year marks the 85th anniversary of the Reverso, and Jaeger-LeCoultre’s new pieces for SIHH reflected the brand’s excitement to celebrate their emblematic design. The Reverso Tribute watches are a throwback to the Reverso’s roots in the 1930’s, emphasizing the classic lines and bold colors that first made the watch such an iconic piece. The Tribute Duo in particular is sure to be a hit, with a bold blue dial on one side, complimented by a granulated silver dial with blue hands on the other, in a stainless steel case with handsome blue alligator strap. 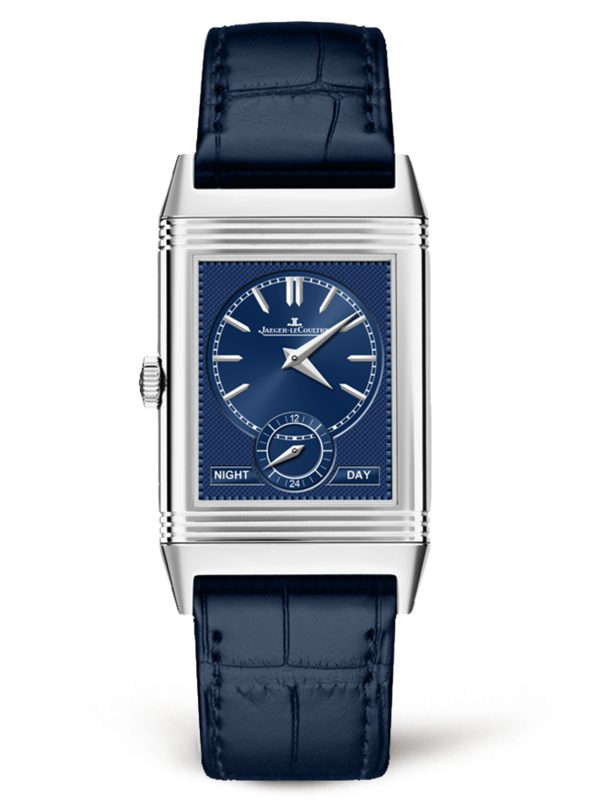 Jaeger-LeCoultre has not forgotten the ladies pieces with this new collection either, with the Reverso One line designed to celebrate women. 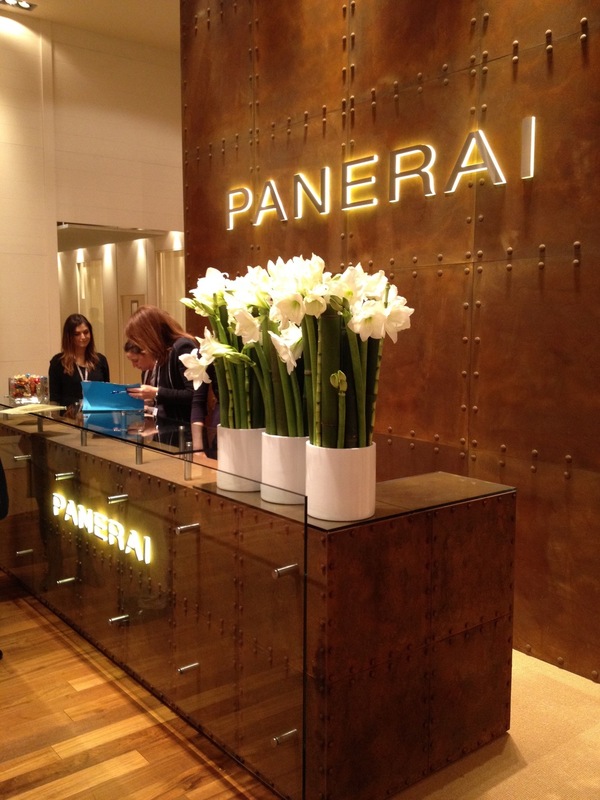 These pieces harken back to the beautiful jewelry watches of the past updated for a more modern lifestyle. With recent trends favoring vintage looks, these 1930’s aesthetics with a modern twist are sure to be a new classic. 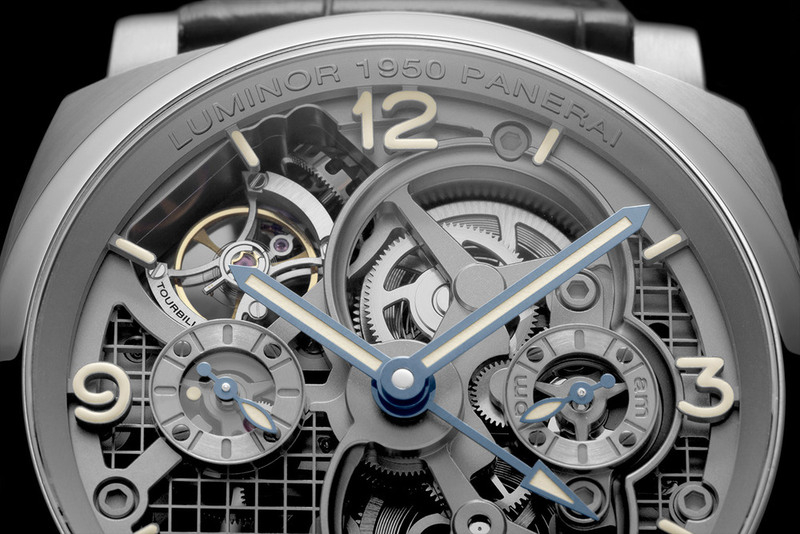 Not to be outdone, Panerai’s outstanding offering of novelties this year includes a great special edition set paying homage to the brand’s unique history along with the re-introduction of a tuxedo dial watch to the line. The far and away standout to this truly amazing lineup was the PAM00578 “Lo Scienziato.” This breathtaking timepiece, limited to a production of 150, is dedicated to Galileo Galilei as one of the men responsible for the laying the foundations that lead to modern watchmaking. 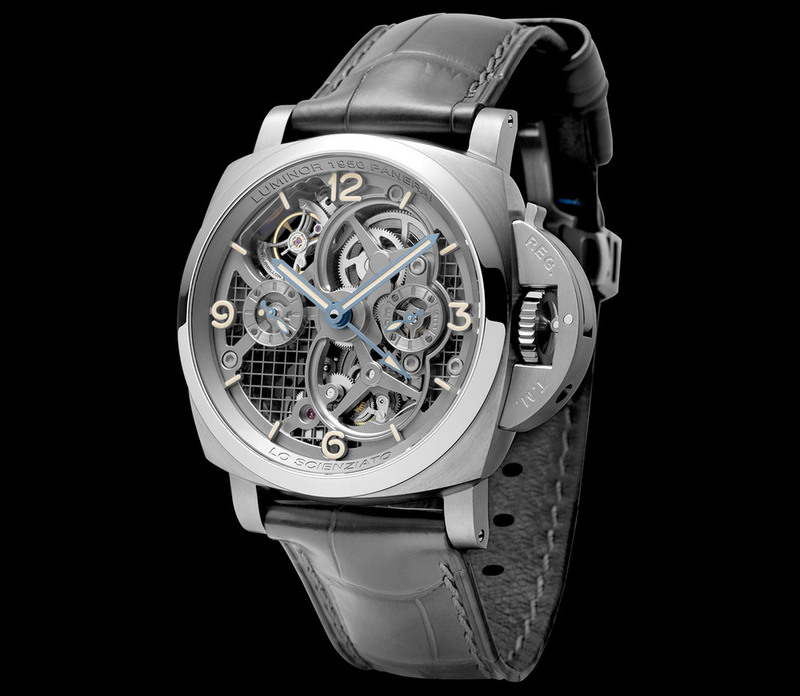 Both the case and GMT tourbillion movement are rendered in titanium using Direct Metal Laser Sintering, which uses a laser fired into powdered metal to create a shape based upon a 3d file. 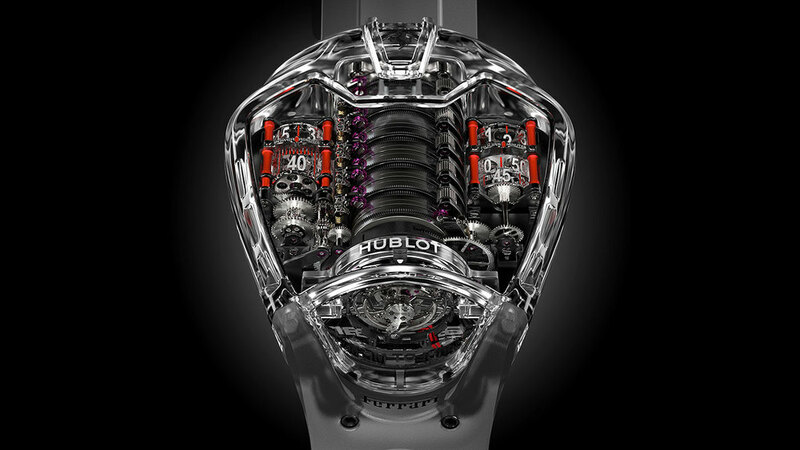 This combination of technology and material grants the watch a unique lightness and smooth finishing. Like an F1 car stripped of all but the functional components, this watch eschews a traditional dial both to keep down weight, and to highlight the remarkable functions of the p.2005/T movement that powers it. 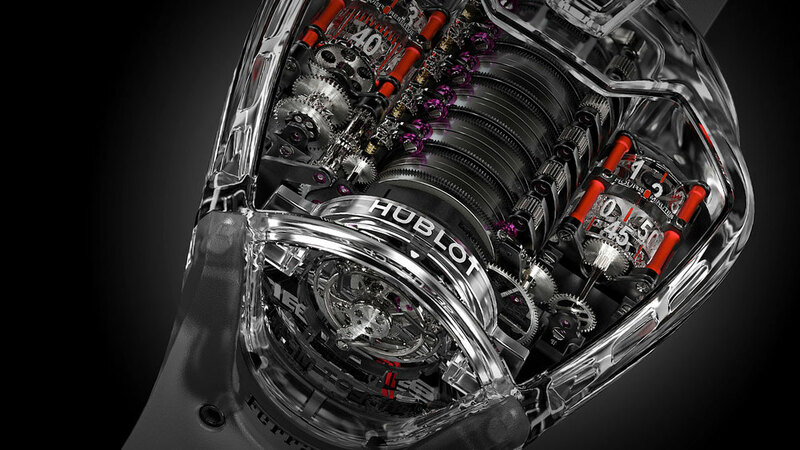 While not technically a part of the SIHH show, Hublot hosted a concurrent display of their offerings for the coming year. 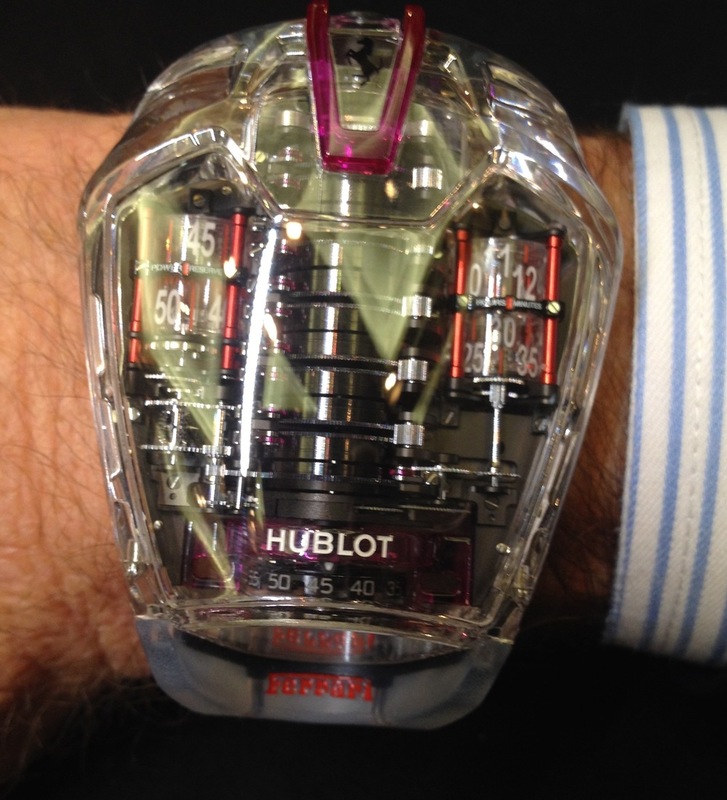 Given Hublot’s penchant for new and groundbreaking materials, this year’s novelties (including a new Classic Fusion, and new colors in the Broderie and Bi-Retrograde Big Bang watches) seemed rather restrained for the brand, until one lays eyes on the new MP-05 LaFerrari. The previous incarnations of the LaFerrari were already stunning in both their bold looks and technical prowess, but the new model takes that one step further. With a case carved from sapphire crystal, the mechanically astounding 50 day manual wind power reserve movement appears to almost float within the watch. 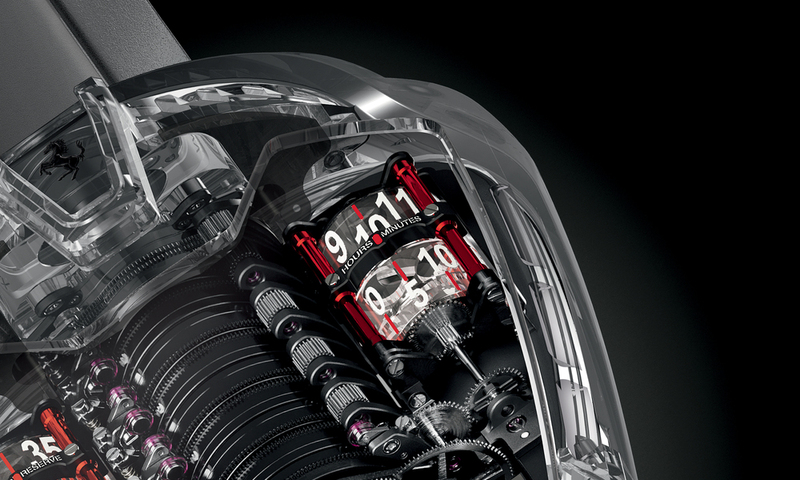 The record-breaking movement in this watch has changed very little from the previous incarnations: 637 components and 108 jewels to maintain the vertical tourbillion and 11 barrels to propel the 50 day- power reserve, which is wound by a tool designed to look like those used in F1 for tyre-changing. Limited to 20 pieces, this is sure to be the superstar of any collection it graces. If you have any interest in a particular watch please feel free to send me an email, or give me a call. I hope you continue to enjoy our Watch Words. 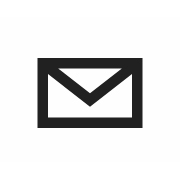 Want to get Watch Words right in your inbox? 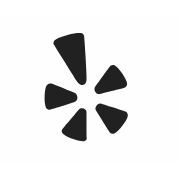 Sign up for our Watch Words Newsletter!